"To see people who call themselves conservative Republicans rip this state apart is wrong," added state Sen. Michael Watson, a member of McDaniel's legal team who also spoke to reporters. He added that the McDaniel campaign is in the process of fully examining election material, calling it "...a look under the hood" of the election process. McDaniel, a state senator who enjoyed strong support from tea party groups and anti-establishment groups, narrowly edged out Cochran in the June 3 Republican primary, but with neither man cracking the 50% threshold needed to win, the contest moved to the runoff three weeks later, which Cochran won by more than 7,600 votes. The longtime senator's victory was apparently aided by votes from African-Americans, a largely Democratic voting bloc, who were actively courted during the runoff by Cochran's campaign and allied groups. "There's already enough evidence to file a challenge," Tyner said, citing invalid crossover votes as a significant part of their challenge. 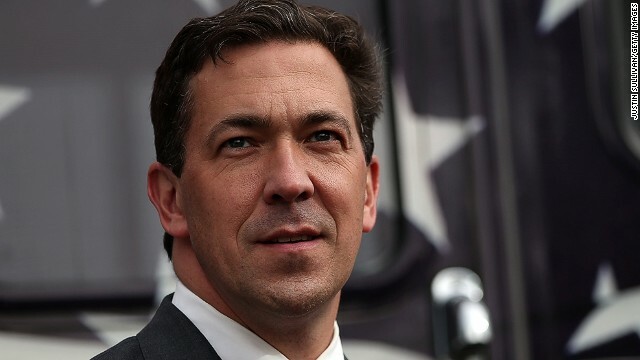 After their narrow loss in the runoff, McDaniel's campaign dispatched volunteers across Mississippi to investigate the results in the state's 82 counties. Accusation of racism have swirled since Cochran won the runoff. "The last two and a half weeks of that campaign, they went out to Democratic communities, predominantly African Americans in our state. They called me a racist. They race bated. They said if I was elected I would suppress their right to vote or do away with it," McDaniel said on CNN's "New Day" earlier this month. McDaniel supporters reiterated that sentiment on Wednesday as they announced their plans to mount a challenge in the coming days. "The Cochran campaign, through their race bating.. took Mississippi back 50 years in race relations," Tyner said. Cochran's campaign attributed the support from the African American community to four decades of relationship-building in the state. If Chris McDaniel had spent more time courting African American votes rather than complaining about them participating, he might have done better on election day," said Jordan Russell, communications director for Cochran's campaign.